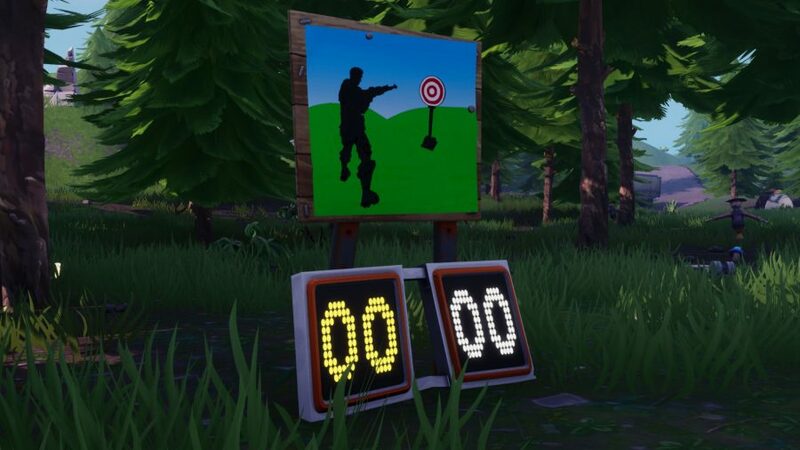 Where is the Retail Row Shooting Gallery in Fortnite? Have you ever found yourself in the midst of a mammoth shop-’til-you-drop session and thought to yourself ‘hey, I fancy shooting some guns at inviting red-and-white targets’? It’s quite an odd thought, admittedly, but, if you have it, and you’re playing Epic’s famous multiplayer game of last man standing, you’re in the right place with this Fortnite Retail Row Shooting Gallery guide. It’s more likely that you’ve come here since this is one of your week 10 challenges for season 7. Bear in mind that this is the middle part of a staged mission, so you’ll need to have completed the first portion before you can have a go. If you’ve done that, then great, let’s get on to where you can find the Retail Row Shooting Gallery in Fortnite. That said, there is another barrier in your way: this is a premium Fortnite challenge. That means you must be the proud owner of a Battle Pass for season 7 before you can start slamming lead into these targets. However, we imagine that, since you’re here at this late phase of this battle royale game, we assume you’ve long had one of those. 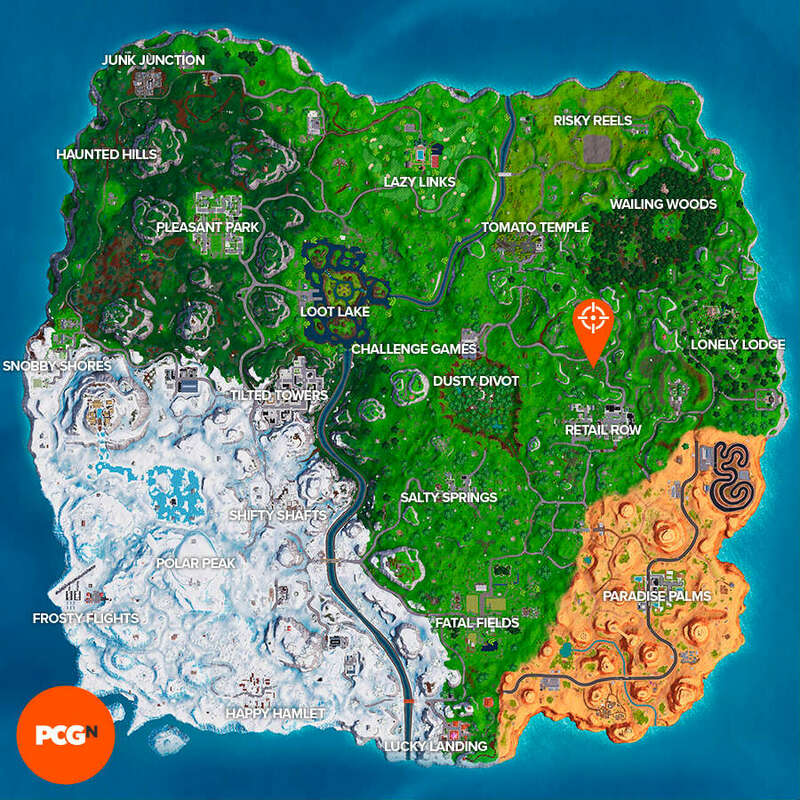 So, without further ado, here’s where to find the Fortnite Retail Row Shooting Gallery. You don’t have to do much travelling north from Fortnite’s shopping district to get to this second Shooting Gallery, you’ll be pleased to know. If you look at the map and see the main road snaking away from Retail Row to the north-east of the named area, there’s a patch of boggy greenery just before the fork to the west – the Gallery can be found here. To make it even clearer, we have a map and video indicating its location below. And that’s our work done when it comes to the Fortnite Retail Row Shooting Gallery. If you still need a hand with the rest of your week 10 challenges before they’re wiped when the Fortnite season 8 release date lands, here’s where to visit all Fortnite Expedition Outposts. And, with that, we wish you a pleasant shopping trip. No, not that pleasant.